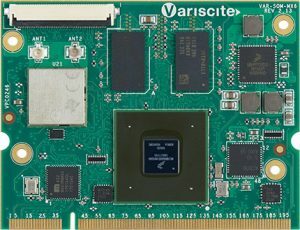 Variscite is proud to announce the launch of the enhanced VAR-SOM-MX6 System-on-Module. The highly versatile SoM has been upgraded to support NXP’s i.MX 6QuadPlus processor, in addition to the existing scalable configuration options: i.MX 6 Quad/Dual/DualLite/Solo, with up to 1200MHz ARM Cortex-A9 processor. The i.MX 6QuadPlus processor delivers the highest levels of graphics performance and DDR bandwidth in the i.MX 6 family, enhancing the Vivante™ GC2000 2D/3D Graphics Accelerator performance by 50% compared to the i.MX 6Quad Processor. Combined with High Definition H.264 Decode and Encode, those enhancements establish the VAR-SOM-MX6 platform as a highly recommended solution for graphics-intensive and high-performance multimedia applications. 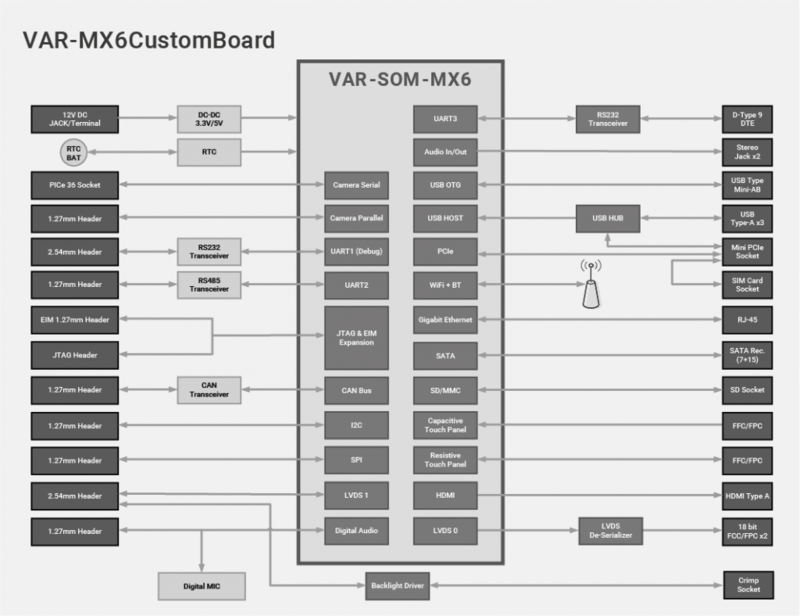 The enhanced VAR-SOM-MX6 is pin-compatible with all existing VAR-SOM-MX6 Core configurations Quad/Dual/DualLite/Solo processor, as well as with the VAR-SOM-SOLO/DUAL. 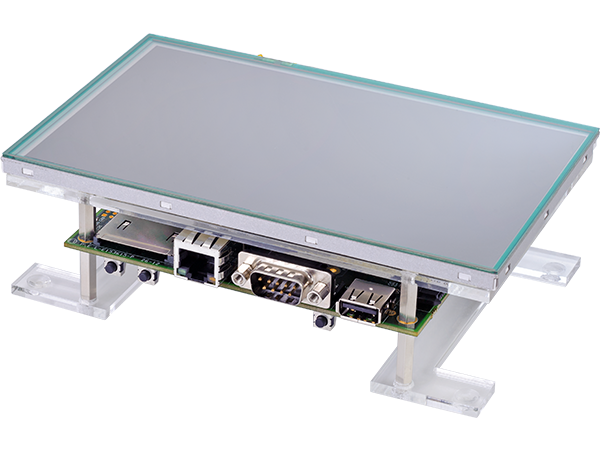 This grants a full scalability on both iMX6 and Variscite’s upcoming iMX8 System on Module solutions. This versatile SoM features up to 4x Arm Cortex-A9 up to 1.2 GHz per core, -40 to 85 °C temperature range, Dual CAN support and certified WiFi/BT module including optional Dual Band 2.4 / 5 GHz and MIMO, making it equally ideal for industrial applications and graphics-intensive applications. The VAR-SOM-MX6 evaluation kits are available on Variscite online store: VAR-SOM-MX6 evaluation kits.